A short collection of funny scenes from South Korean drama 'Descendants of the Sun' (2016), starring Song Joong Ki, Song Hye Kyo, Jin Goo and Kim Ji Won. Enjoy! 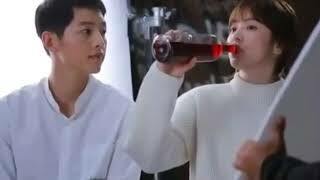 171019 Behind the scene of #Descendent of the sun funny moments of #Song joong ki & #Song hye kyu. 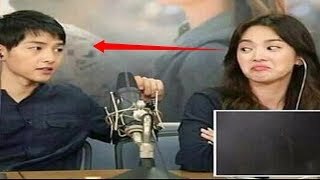 kompilasi Behind the Scene dari Song Jong Ki dan Song Hye Kyo Descendant of the Sun bintang utama hallyu korea yang akan menikah dan menyebabkan patah hati internasional ?bagaimana dengan kalian patah hati gak?